There is so much power when you find the courage to dance in the darkness, so much so that you can create light! In honouring those dark corners of your soul you are gifted with the power to transform that negative redundant energy into beautiful light vibrant energy. Yet if you avoid those memories, suppress the pain and refuse to acknowledge there existence, you lower your own vibration and sooner or later, be it 5 years, be it 35 years, they will ensure that one day you will not be able to get out of bed. One day it will catch you, having already slowed you down, lowered your vitality, depressed your spirit – and then one day, it will smack you so hard in the face that you simply have to take notice. Your hand will be forced to look within. When you learn to look within at your pain and discomfort, you begin to understand, that the darkness, that heaviness you feel and seek to avoid, is simply an energy. An energy that has no more power over you than any other energy. Energy is able to change form and you are able to change the form of your pain, from a lower vibration to a higher one and in doing so, alter the overall vibration of your being. It really becomes a choice. Do you choose to stay in your pain and darkness? Or do you choose to release the pain and return to the light? Anger, resentment, rage, bitterness, jealousy, sadness and despair, are all lower vibration emotions and because they don’t make you feel good, you avoid them and substitute them with things that make you feel good. Sure it is important to focus on the positives in life, but if you are doing this to desperately try and suppress the dark, then it is simply a façade. True growth happens when you find the courage to dance in the darkest corners of your soul. To look so deep within yourself that you see all the pain, you feel all the pain and you honour and respect your pain, in its darkness…for its is part of your story, and in feeling into it and moving with it, an interesting process starts to occur. And the dark transforms into light. It is such a simple process, to look within, see the darkness, remember the story, feel the pain and move with it as you allow it to release. As it releases, sure it may be painful and it may be confronting and you may not want to do it, but it is worth it, because it will free you. Free you of your past and enable you to begin to write a new story, one that is fuelled by light, not by the darkness hidden within. In a live session I did with the participants in my 10 Days, 10 Ways to Transform program in October last year, I took the group through a deep and powerful meditation, where I guided them to dance with their darkness, the results were amazing. You can find that meditation right here (the meditation starts at the 2-minute point). I encourage you to find the courage to use this meditation as you learn to dance with your own darkness! 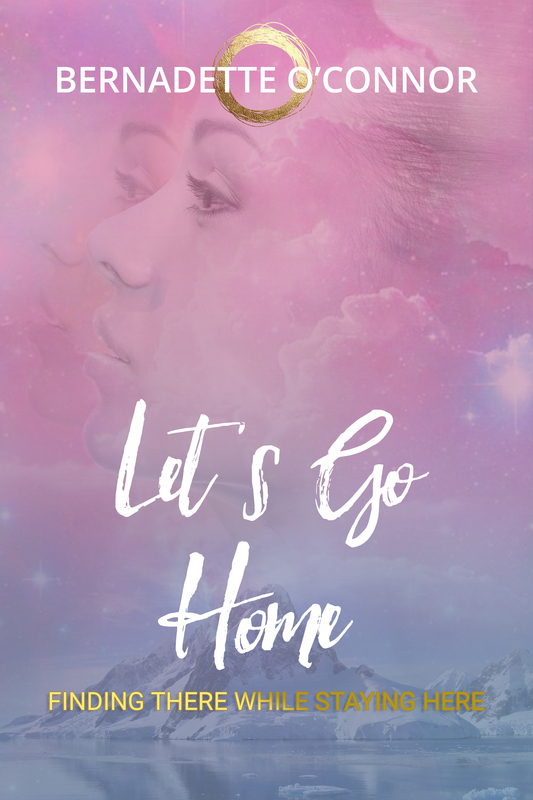 In my debut novel, Let’s Go Home, Finding There While Staying Here, the central character Halia learns to honour her past pain and to explore the lessons to be learned from those experiences, she delves into the deep and painful corners of her soul to remember, and in remembering she grows. It is the most powerful way to grow because a higher level of life experience will be reached in doing this work. And that version of you will be able to impact on the world in such a powerful way!